I am really starting to love these Christmas chalkboard printables. 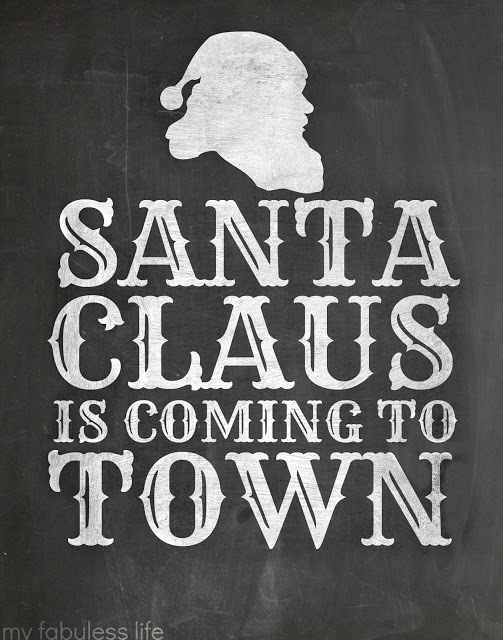 The newest on the list of fun freebies is this Santa Clause Is Coming To Town chalkboard printable. If, like me, you aren't talented enough to create this on a real chalkboard, this is the way to go! You can download this free Santa Claus chalkboard printable over at My Fabuless Life.